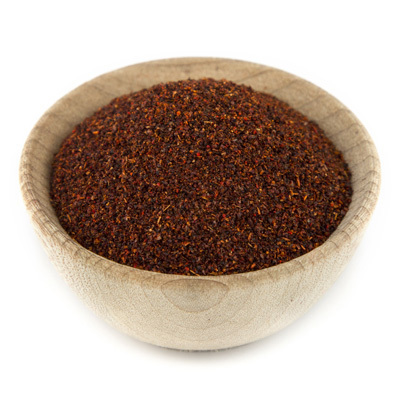 Chili Powder is a blend of spices that usually includes ground chili peppers, oregano, cumin, and garlic powder. Chili Powder is used in Southwestern and Mexican-type cooking. It's a prominent ingredient of chili con carne, and is also used to season eggs, shellfish, cheese dishes, and stews. Manufacturers use chili powder in processed Mexican foods, sausages, and pork and beans. Chili Powder mixtures can vary from mild to extremely spicy. It is not necessarily hot, but may have a mild flavor if made with a chili pepper of a less pungent variety.